Click here to visit the Spa at Gothic Eves website. Need some respite after a stressful day? Or a spiritual pick-me-up? How about a massage to loosen the kinks? If you answered ‘yes’ to any of these questions, what you really need is a visit to The Spa at Gothic Eves! 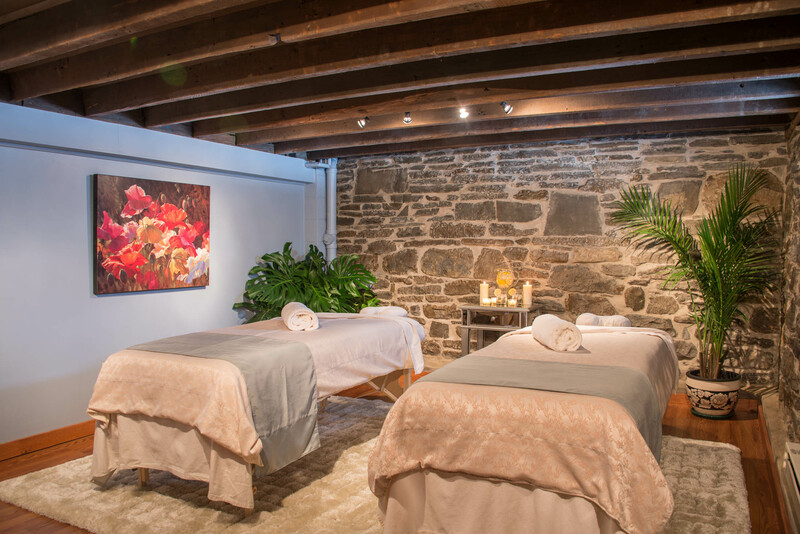 Our spa, located in the Potter House next door to The Inn at Gothic Eves, offers a number of spa services that will help you unwind and regenerate. Our nationally certified massage therapists bring considerable experience and will provide a caring touch to your therapeutic massage. The quiet solitude of the Serenity Room combined with the rejuvenating effects of the Oxygen Bar will leave you calm but energized. Top off your spa experience with a reservation for a private soak in our outdoor Jacuzzi tub (see below for details). Stop in for a treatment or two, a daylong experience or plan a personal spa getaway with a stay in our luxurious Inn. We suggest booking the Cayuga and Seneca Grande Suites located in the spa building, where guests are welcome to enjoy the sauna after spa hours. Surely, you will never forget your spa retreat at The Inn at Gothic Eves. We sincerely believe that, after you leave, you will want to return time and again.